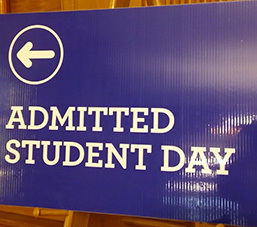 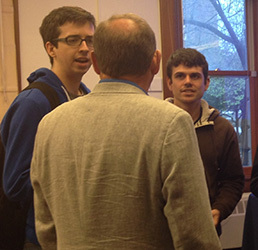 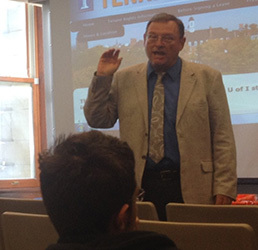 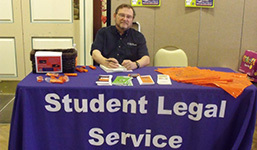 Directing Attorney, Thomas Betz, at one of the "Admitted Students Days" information fairs. 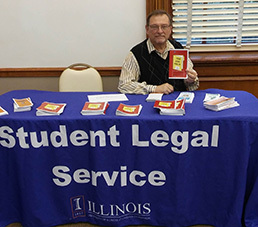 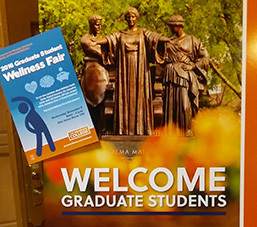 Directing Attorney, Thomas Betz, distributed Student Legal Service's new pamphlet, "Your Legal Health", at the Graduate College's 2016 Graduate Student Wellness Fair. 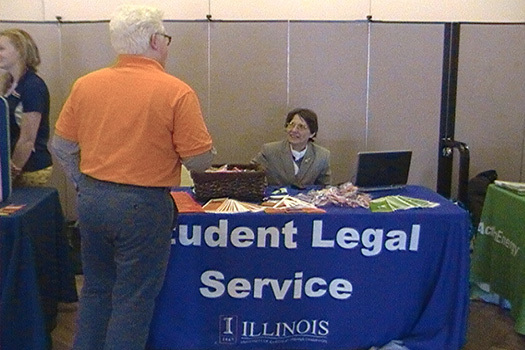 Student Legal Service attorneys, Susan Hessee and Thomas Betz, talk to the new, incoming students at International Student Orientation. 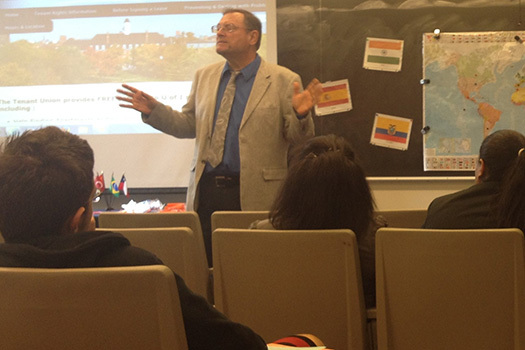 SLS Directing Attorney, Thomas Betz, providing information at the Exchange Students Fair. 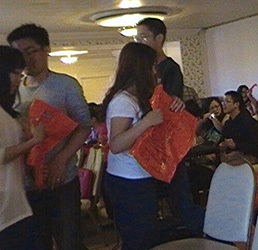 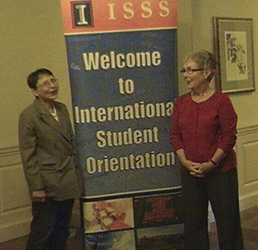 Immigration Issues for LGBT Students - Rainbow International Students. 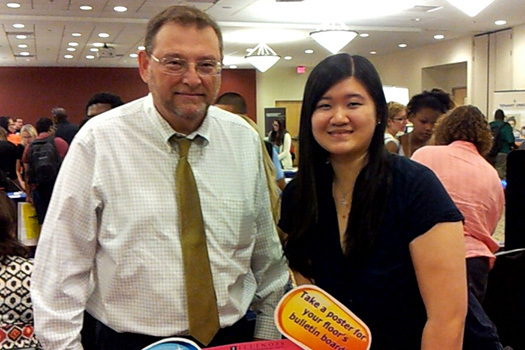 Attorney Tom Betz and Office Assistant Shi Yee Sze Tho distributed information to the attendees at the Paraprofessional (RA) Resource Fair, including posters for the residence hall bulletin boards. 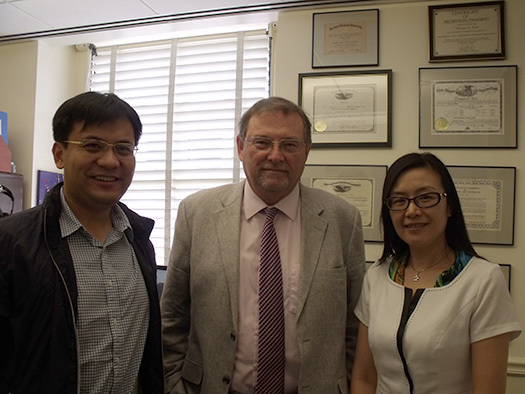 Two attorneys, Tan Hualin (left) and Li Yamei (right), from Beihang University, Beijing, China, visited Directing Attorney Thomas Betz (middle) in the Illinois SLS office during their visit to the Urbana-Champaign campus. 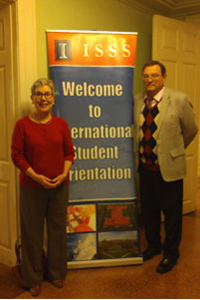 SLS Attorneys, Tom Betz and Susan Hessee, spoke to the assembled students at the ISSS New International Student Orientation. 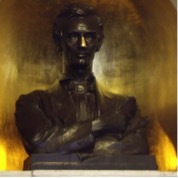 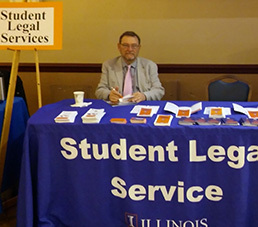 SLS Attorneys attended the Triple I (Illinois, Indiana, Iowa) SLS Attorney Conference on the DePaul University campus. 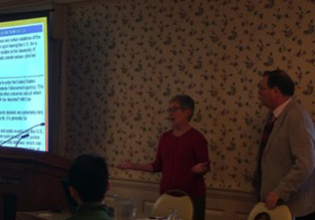 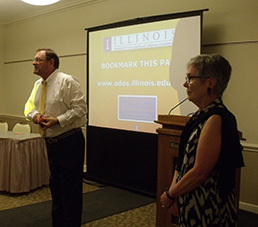 Tom Betz and Mary Ann Midden were presenters. 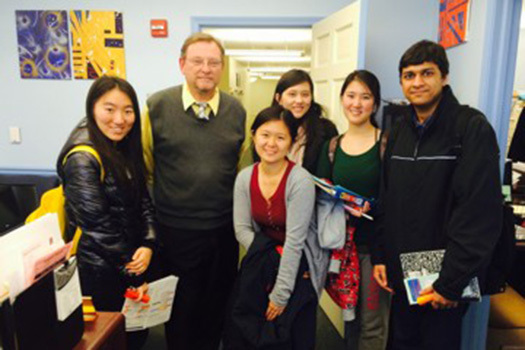 International Student Orientation leaders visited the SLS office and Tom Betz spoke with them about what our office does. 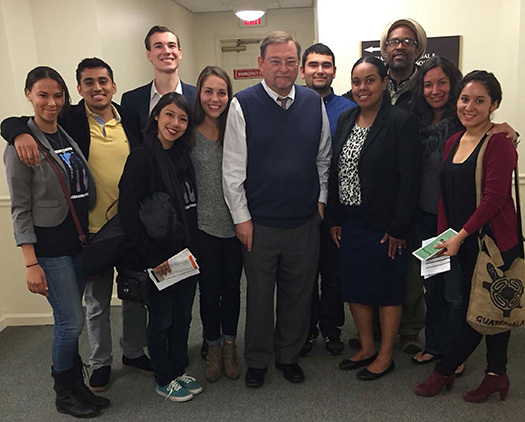 The Isla Vista Tenants Union Associated Students and their advisors from UC-Santa Barbara visited the SLS offices with Illinois Tenant Union Program Manager, Brittany Glenn, to learn about how SLS attorneys assist students with housing issues. 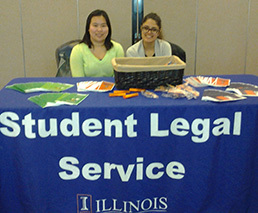 SLS Office Assistants, Shi Yee Sze Tho, Alexa Torres, and Jacqueline McClellan distributed information at the Daily Illini Spring 2015 Housing Fair. 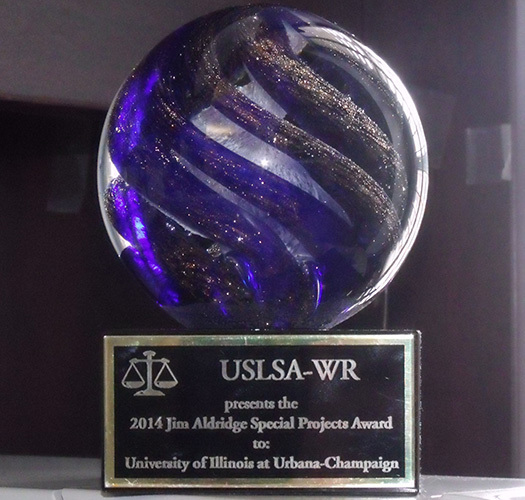 University Student Legal Service Association – Western Region Awarded our Student Legal Service the "2014 Jim Aldridge Special Projects Award" for our new website section, "Especially for International Students". 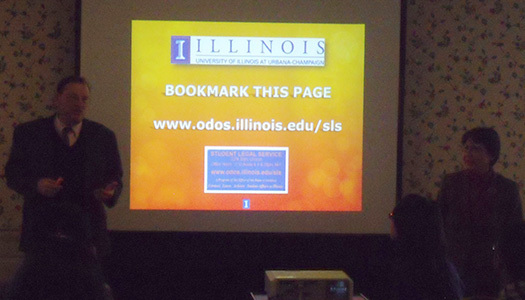 Directing Attorney of SLS, Thomas Betz, was a presenter at the Conference. 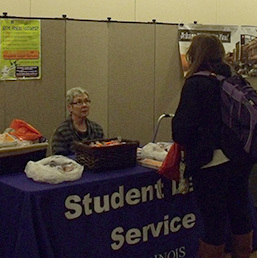 SLS Attorney, Mary Ann Midden met with students at the Lease Lasso – A collaboration between the Tenant Union and Student Legal Service to review leases prior to being signed. 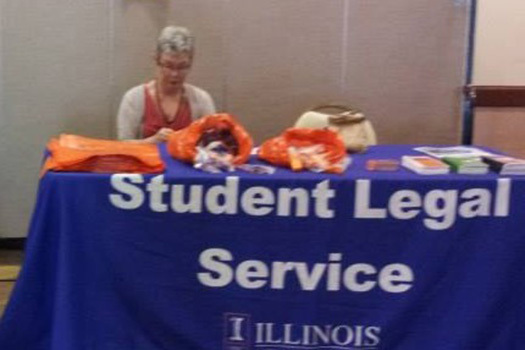 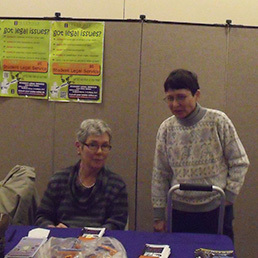 SLS Attorneys, Susan Hessee and Mary Ann Midden distributed information and talked to students at the Daily Illini Fall 2014 Housing Fair. 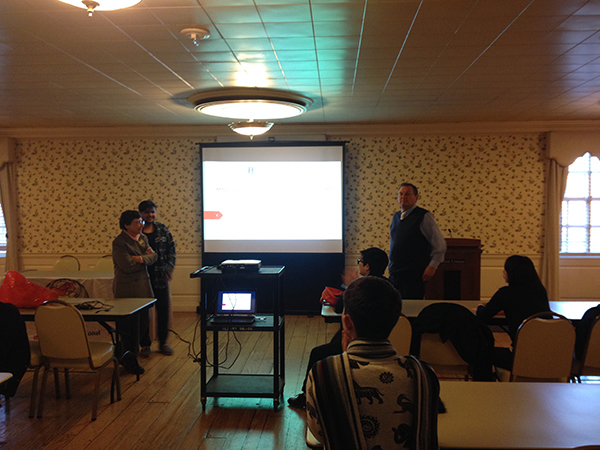 SLS Directing Attorney Tom Betz spoke to the students in the Minority Association of Future Attorneys meeting. 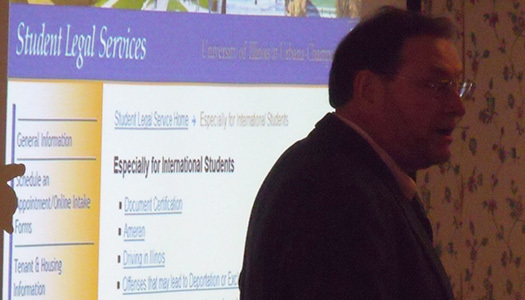 SLS Attorneys Tom Betz and Mary Ann Midden spoke to the students assembled for the ISSS New International Student Orientation. 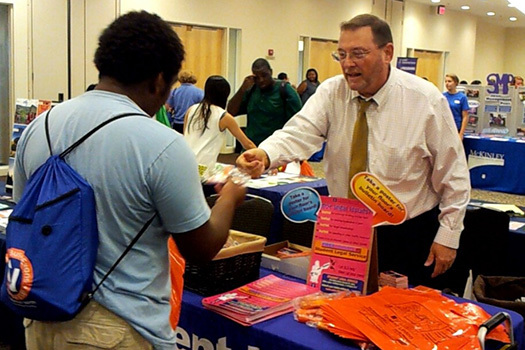 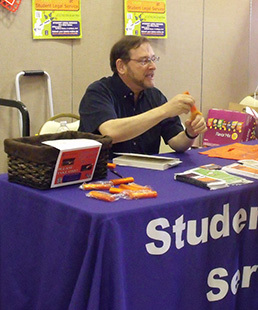 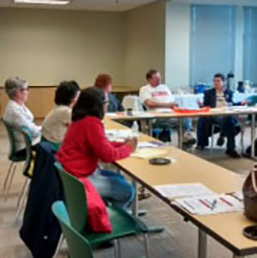 Directing Attorney Thomas Betz assisting paraprofessionals in August 2014 and providing them with information about the SLS office and the legal services offered to students. 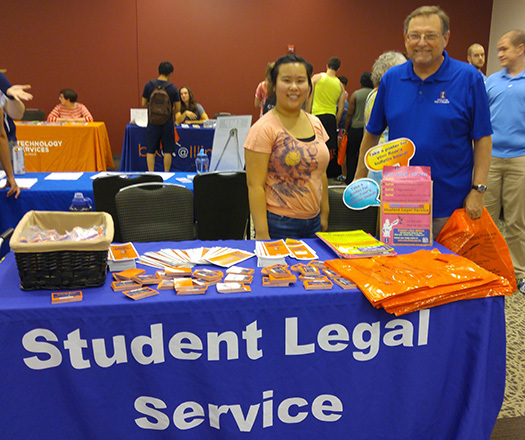 Directing Attorney Thomas Betz with student employee Winnie Zhang at the August 2014 Paraprofessional Resource Fair. 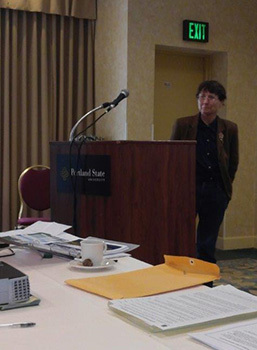 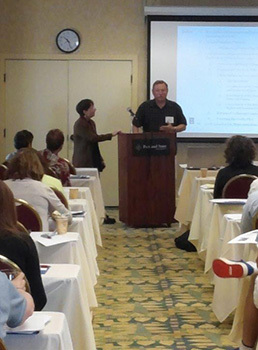 Directing Attorney Tom Betz and Staff Attorney Mary Ann Midden presented "Protocols for Interactions with International Students in a Student Legal Service Practice" at the 2014 National Legal Aid and Defenders Association national conference in Portland, OR in July. 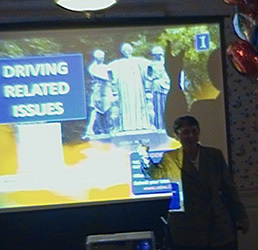 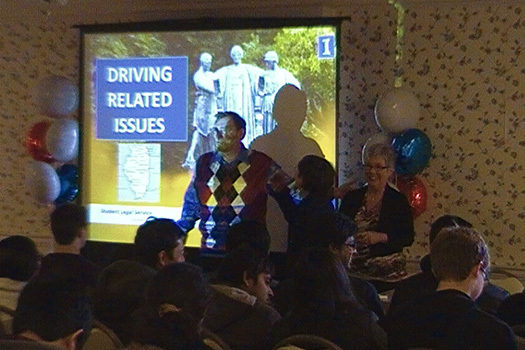 Staff Attorneys Susan Hessee and Mary Ann Midden at the new International Student Orientation, speaking on "Driving Related Issues." 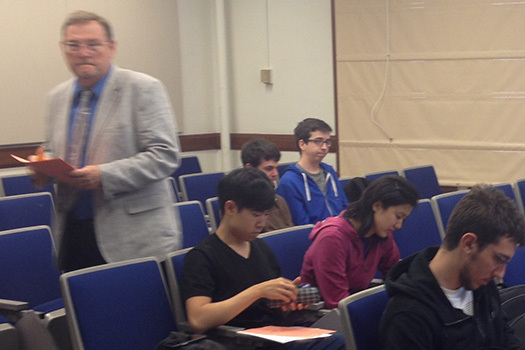 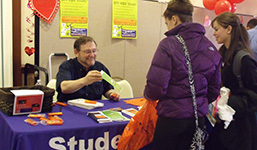 Directing Attorney Thomas Betz distributing handouts, delivering his presentation, and talking with students at the Engineering Excellence Workshop, Office of International Student Programs, College of Engineering. 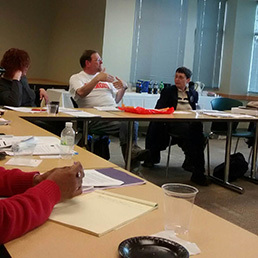 Student Legal Service Attorneys and Paralegal from SLS programs in Illinois, Iowa, and Indiana at a lunch at Distihl in downtown Champaign prior to the 2014 Triple I Conference in Urbana, IL. 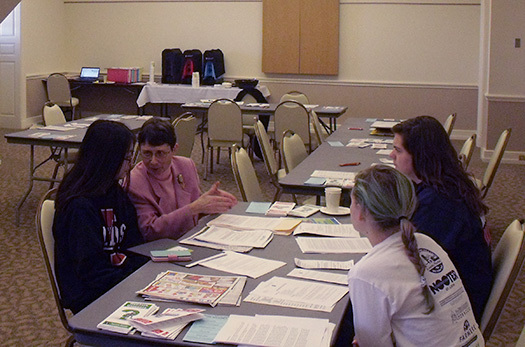 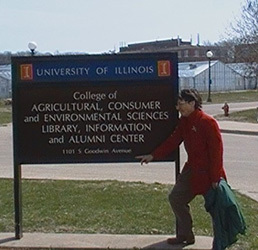 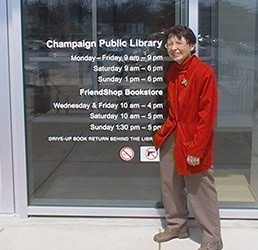 Staff Attorney Mary Ann Midden gave talks at the ACES Library on April 10, 2014, and at the Champaign Public Library on April 13, 2014 on "How to Reduce or Cancel Your Federal Student Loan Payments." 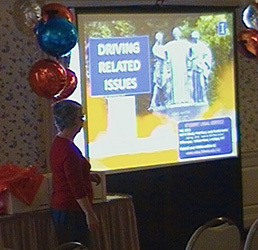 The powerpoint slides are available on the SLS website in the Brochures/Presentations/Ads section, under "Presentations," revised with additional information! 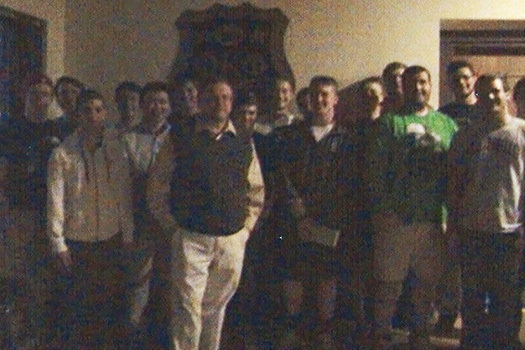 Directing Attorney Thomas Betz at the Phi Kappa Psi Fraternity house with a group of members, after giving a talk. 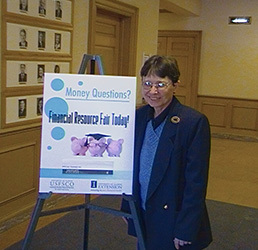 SLS Attorney Mary Ann Midden at the America Saves Financial Resources Fair. 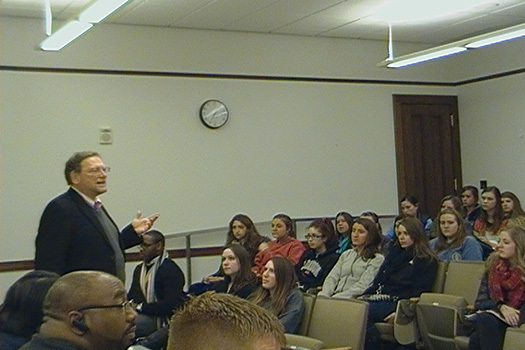 SLS Directing Attorney, Thomas Betz, speaking to the attendees at the Panhellenic Council February Pride Event, "Unofficial Uncovered". 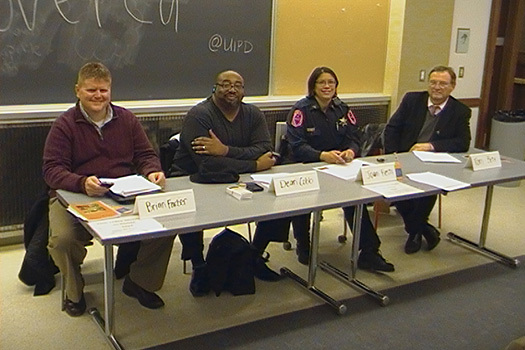 SLS Directing Attorney, Thomas Betz (far right) on a panel discussion, entitled "Unofficial Uncovered" during the Panhellenic Council February Pride Event. 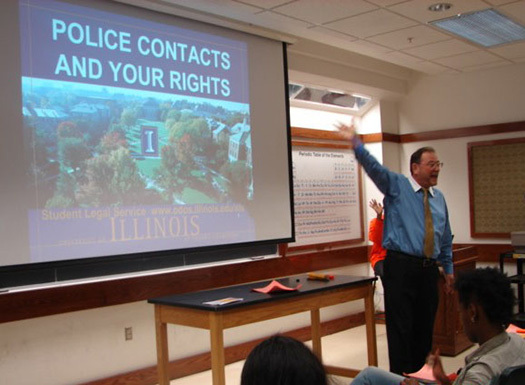 Other participants, from the left are Dean Brian Farber of the Office for Conflict Resolution; Dean Domonic Cobb of the Office of the Dean of Students, and Officer Joan Fiesta of the University of Illinois Police Department. 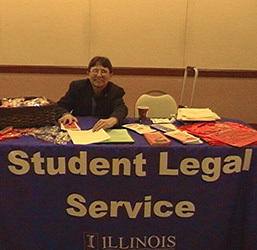 Attorney Mary Ann Midden at the Daily Illini Housing Fair. 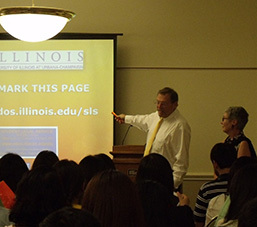 Attorneys Thomas Betz, Mary Ann Midden, and Susan Hessee (l-r) prepare to do a PowerPoint presentation to new international students during the Spring 2014 ISSS Orientation programming. 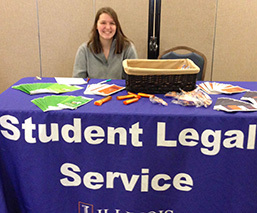 Attorney Susan Hessee at the Fall 2013 Daily Illini Housing Fair. 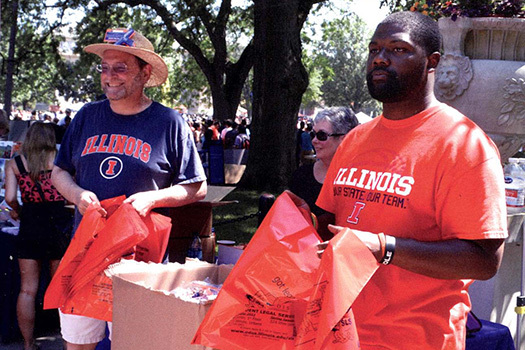 Directing Attorney Tom Betz and summer 2013 Student Office Assistant Jarvis Young at 2013 Quad Day, distributing Student Legal Service bags, chip clips, and arrest cards. 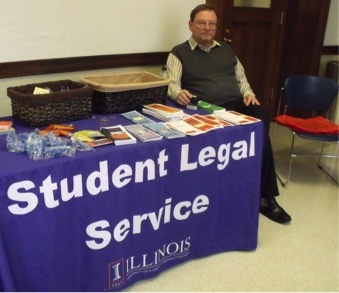 Directing Attorney Thomas Betz at the Spring 2013 Daily Illini Housing Fair. 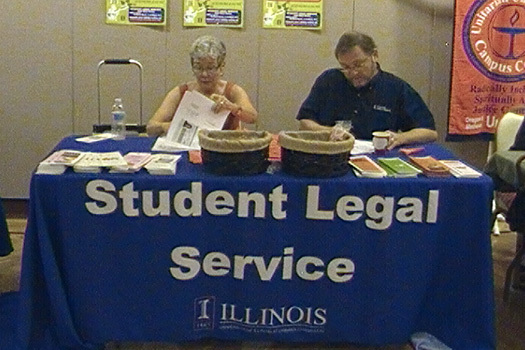 Attorneys Susan Hessee and Thomas Betz at the Fall 2012 Daily Illini Housing Fair.